This application diagram illustrates demonstrates how Xchanger heat exchangers are used in a variety of applications. 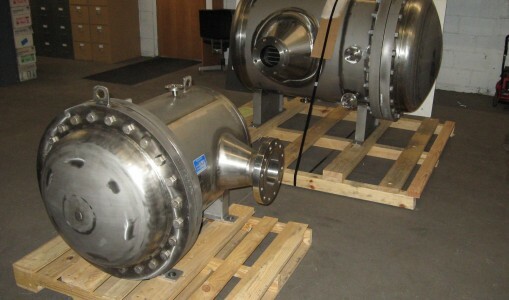 High volume, low pressure flows, such as those produced by rotary lobe (Roots type) blowers and multi-stage centrifugal require unrestrictive, free-flowing heat exchangers. 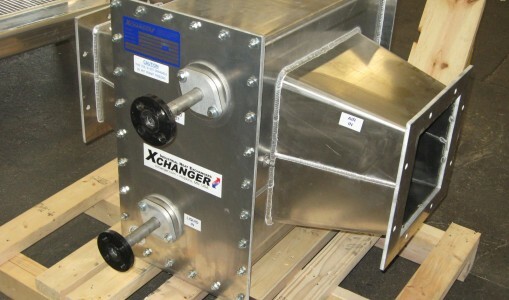 Low pressure air heat transfer is an Xchanger specialty. 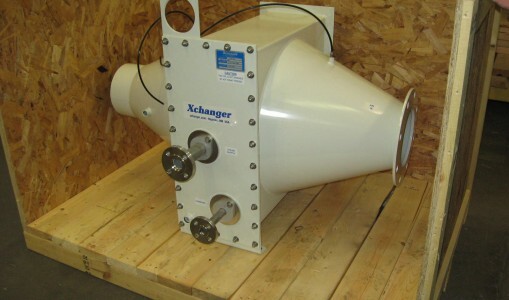 In most applications, the pressure drop through our exchangers is under 5 inches of water column (or 1/4 PSI). 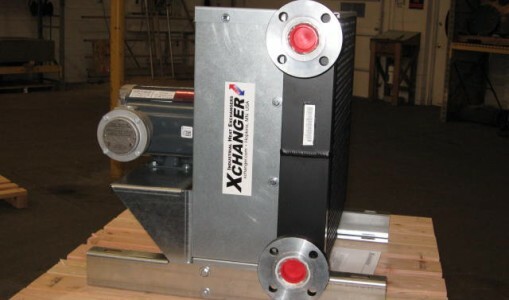 Xchanger heat exchangers can be designed to cool, heat, or dehumidify air streams. Service fluids including steam, refrigerant, oils, water, liquid nitrogen, and ambient air are used to accomplish a wide variety of heat transfer goals. 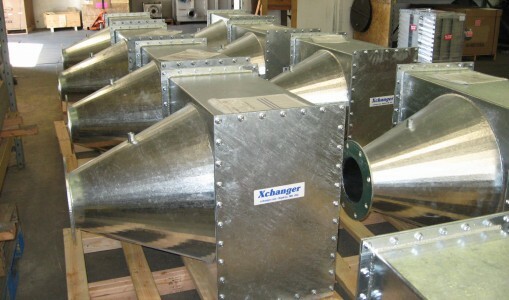 All Xchanger heat exchangers are designed using extended (fin) surface. 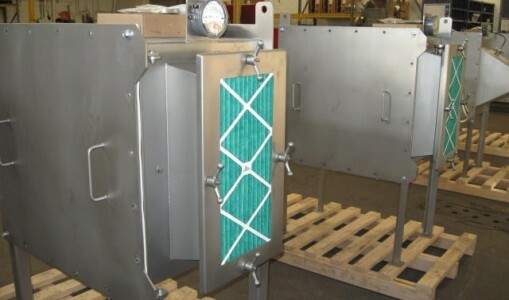 Finned heat exchangers are very advantageous with air or other gases – they’re nearly as effective as bare tubes and a fraction of the cost. This type of surface is very effective in liquid-air or air-air heat transfer applications, but it is not suitable for liquid-liquid service. • Cooling pneumatic conveying air to prevent the conveyed product from temperature related degradation such as melting. 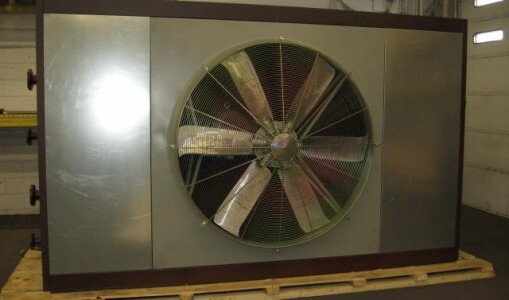 • Heating pneumatic conveying air to prevent condensation or line plugging. 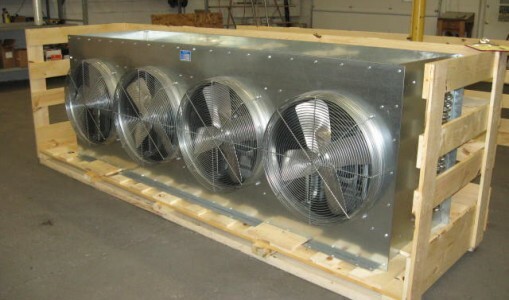 • Dehumidifying conveying air to prevent moisture gain in hygroscopic products. • Precooling / Intercooling vacuum pumps to protect the pumps from high temperatures. • Cooling air/vapor streams headed for activated carbon beds used in soil remediation. • Heating air to regenerate desiccant in air dryers. • Cooling compressed air or liquids with ambient air. 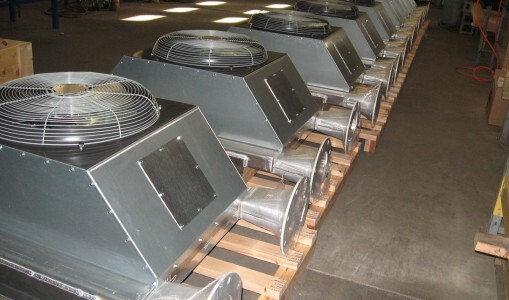 • Process air heating, cooling, or dehumidifying. 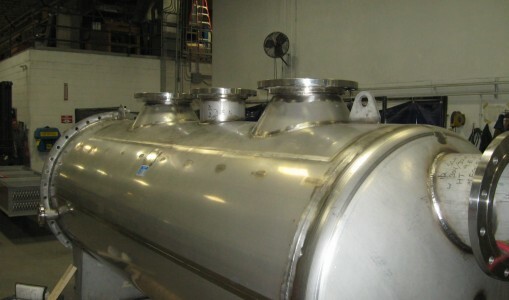 • Condensing solvent vapors at storage tank and reactor vents.